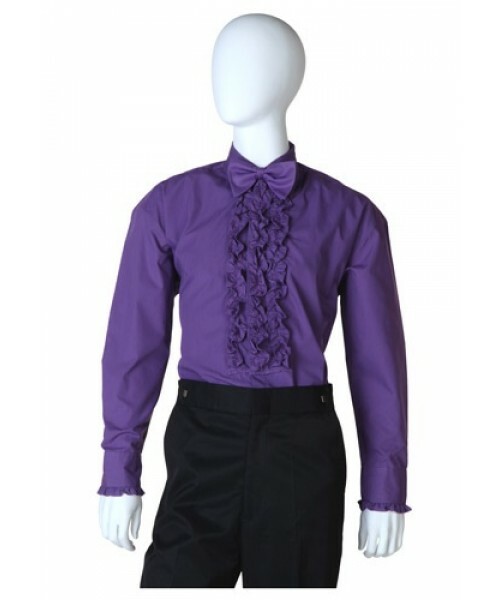 Purple is the color of royalty, and that's exactly how you'll feel while wearing our Purple Ruffled Tuxedo Shirt! It has some incredible ruffles that you won't find anywhere else. If you're tired of all the boring white and black tuxedos filling up the prom then you should take a chance with something more colorful. Like a purple shirt! 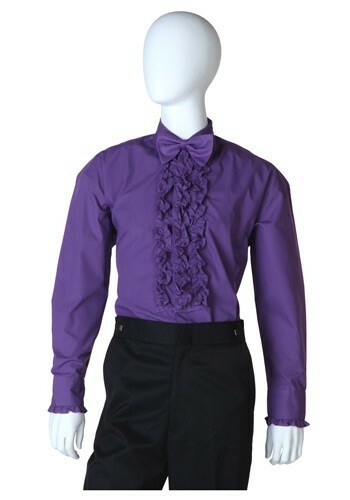 It's got a whole lot of ruffles that will make you look extra classy. We have the rest of the purple tuxedo items to make the whole ensemble, so check them out!